Over a sports bra or under a compression shirt, this sweat-wicking bralette adds lightweight coverage to any workout. 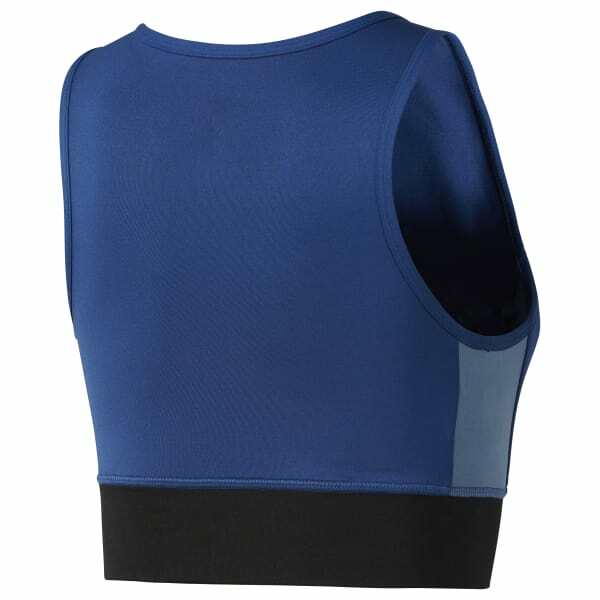 The streamlined tank cut stays out of the way of moving muscles. A wide band securely holds its place right where you want it.